LIGHT GREY ART LAB: We're Hiring a Gallery Manager! 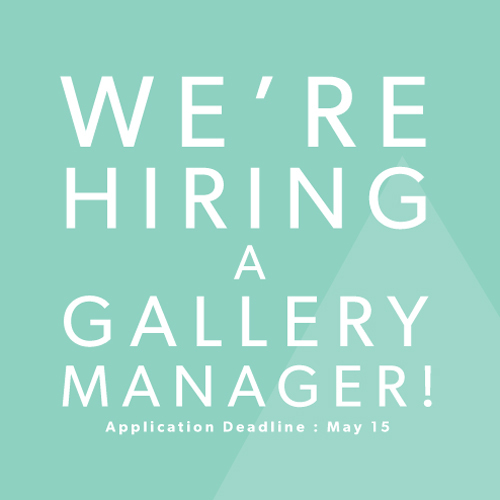 We're Hiring a Gallery Manager! It's true! We are looking for someone awesome! We have had an amazing first couple of months and now we're heading into the rest of our busy summer season! We are looking for your help in recruiting someone totally awesome to join our little team at Light Grey Art Lab! If you or someone you know is interested in working in a vibrant, exciting gallery atmosphere, let us know! The position itself starts as part time (20+ hours per week) for $12.50/hour. This position would be starting June 1, 2012! Finally! We are looking for someone that is in it for the long haul! Art-loving recent grads or out-of-school people, we're looking at you! If you want to learn and grow with our awesome space, we'd love to hear from you! Just send a short cover letter telling us a little about you, your resume, and a link to your artwork / blog to hello (at) lightgreyartlab (dot) com by May 15th to be considered for the position.